John Kissling married Clara Huebsch, daughter of Joseph John Huebsch and Mary Ann Mueller. John Kissling was born on 25 December 1864. He died on 18 July 1939 at age 74. Married Name Her married name was Kissling. Clara Huebsch married John Kissling. Clara Huebsch was born on 21 February 1872. She was the daughter of Joseph John Huebsch and Mary Ann Mueller. Clara Huebsch died on 15 June 1953 at age 81. George E. Williams was born circa 1880 at Indiana. He married Alice Naomi Davis, daughter of John Henry Davis and Mary Edna Grover, before 1904. George E. Williams died in 1940 at Spring Green, Sauk, Wisconsin. Married Name circa 1913 As of circa 1913,her married name was Davis. Nona E. Hampton was born circa 1889 at Wisconsin. She married Ray Virgil Davis, son of John Henry Davis and Mary Edna Grover, circa 1913. [S250] U.S. Federal Census 1930 U.S. Federal Census, by Ancestry.com, Year: 1930; Census Place: Richland Center, Richland, Wisconsin; Roll: 2608; Page: 12B; Enumeration District: 17; Image: 838.0. Gerald W. Davis was born on 21 June 1915 at Wisconsin. He was the son of Ray Virgil Davis and Nona E. Hampton. Gerald W. Davis died in May 1976 at age 60. Gerald W. Davis obtained US Social Security Card at Wisconsin; last residence not specified. Married Name 27 November 1937 As of 27 November 1937,her married name was Heried. Velma Edna Davis was born on 5 August 1918 at Wisconsin. She was the daughter of Ray Virgil Davis and Nona E. Hampton. Velma Edna Davis married Berent E. Heried, son of Soren Olson Heried and Ingeborg Marie Bolstad, on 27 November 1937. Velma Edna Davis died on 22 August 1991 at Richland, Wisconsin, at age 73. Name Variation Berent E. Heried was also known as Herred. Name Variation Berent E. Heried was also known as Hap. Name Variation Berent E. Heried was also known as Herried. Berent E. Heried was born on 14 July 1917. He was the son of Soren Olson Heried and Ingeborg Marie Bolstad. Berent E. Heried married Velma Edna Davis, daughter of Ray Virgil Davis and Nona E. Hampton, on 27 November 1937. Berent E. Heried died on 12 August 1991 at Richland, Wisconsin, at age 74. Thomas Beaufort McCaskey was born on 22 April 1891 at Wisconsin. He married Ada V. Davis, daughter of John Henry Davis and Mary Edna Grover, on 1 May 1912. Thomas Beaufort McCaskey died on 26 April 1969 at Wisconsin at age 78. Married Name Her married name was Heried. Ingeborg Marie Bolstad married Soren Olson Heried. Soren Olson Heried married Ingeborg Marie Bolstad. Roger Heried was born in 1941. He was the son of Berent E. Heried and Velma Edna Davis. Roger Heried died in 1955. Name Variation Heinrich Frank was also known as Fronk. Name Variation Heinrich Frank was also known as Henry. Heinrich Frank was born on 10 December 1874 at Germany also reported as Dec 1873. He was the son of Lorenz Frank and unknown (?). Heinrich Frank married Theresia Blau, daughter of Michael Blau and Barbara Dobmeier, on 28 April 1898 at Sauk, Wisconsin. Heinrich Frank died on 8 June 1958 at Canada at age 83. 1911 Humboldt, Saskatchewan, Canada He appeared on the census of 1911 at Humboldt, Saskatchewan, Canada. Heinrich Frank immigrated in 1887. [S245] U.S. Federal Census 1900 U.S. Federal Census, by Ancestry.com, Year: 1900; Census Place: Franklin, Sauk, Wisconsin; Roll: T623_1816; Page: 5B; Enumeration District: 134. August Alois Frank was born on 5 August 1901 at Wisconsin. He was the son of Heinrich Frank and Theresia Blau. August Alois Frank died on 14 May 1980 at Canada at age 78. 1911 Humboldt, Saskatchewan, Canada August Alois Frank appeared on the census of 1911 in the household of Heinrich Frank at Humboldt, Saskatchewan, Canada. Name Variation Teresa Frank was also known as Fronk. Teresa Frank was born in January 1899 at Wisconsin. She was the daughter of Heinrich Frank and Theresia Blau. Henry A. Riek was born on 4 October 1912 at Wisconsin. He was the son of Anton Clemens Riek and Mary Lins. Henry A. Riek married Agatha Brickl, daughter of Simon S. Brickl and Barbara Blau, on 12 February 1935. Henry A. Riek died on 22 January 1999 at Wisconsin at age 86. Anton Clemens Riek was born on 19 August 1885. He was the son of Anton Riek Sr. and Mary Katherine Schmitz. Anton Clemens Riek married Mary Lins, daughter of John Baptist Lins and Franziska Bindl, on 12 September 1911. Anton Clemens Riek died on 26 January 1961 at Richland, Wisconsin, at age 75. 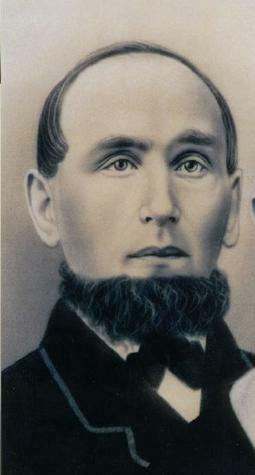 Anton Riek Sr. was born in 1832. He married Mary Katherine Schmitz on 13 April 1880 at second marriage for him. Anton Riek Sr. died in 1903. 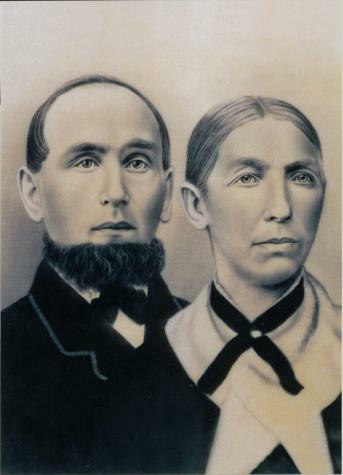 Portrait of Anton Riek Sr and Mary Katherine (Schmitz) Riek (his second wife). Married Name 13 April 1880 As of 13 April 1880,her married name was Riek. 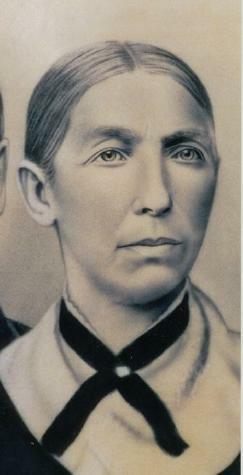 Mary Katherine Schmitz was born in 1849. She married Anton Riek Sr. on 13 April 1880 at second marriage for him. Mary Katherine Schmitz died in 1930. Children of Mary Katherine Schmitz and Anton Riek Sr.
Raymond Hansen married Clara Elizabeth Neuheisel, daughter of Philip Jacob Neuheisel and Anna Kathryn Lins, on 14 November 1933. Raymond Hansen died before 1974. Alfred W. Schumacher was born on 4 October 1911. He was the son of Adam Schumacher and Elizabeth Tiry. Alfred W. Schumacher married Rose Edith Neuheisel, daughter of Philip Jacob Neuheisel and Anna Kathryn Lins, on 9 June 1931. Alfred W. Schumacher died on 25 November 1997 at Monroe, Wisconsin, at age 86. Adam Schumacher married Elizabeth Tiry. Married Name Her married name was Schumacher. Elizabeth Tiry married Adam Schumacher. Alois George Liegel Sr. married Louise Ruland, daughter of Joseph T. Ruland and Theresa Haller. Alois George Liegel Sr. was born on 28 January 1914 at Wisconsin. He was the son of Herman C. Liegel and Victoria Brickl. Alois George Liegel Sr. died on 14 November 1987 at Sauk, Wisconsin, at age 73. Married Name 11 June 1912 As of 11 June 1912,her married name was Ruland. Theresa Haller was born on 11 May 1890 at Germany. She married Joseph T. Ruland, son of Joseph Ruhland and Barbara (? ), on 11 June 1912. Theresa Haller died on 7 April 1976 at Sauk, Wisconsin, at age 85. Married Name Her married name was Liegel. Louise Ruland married Alois George Liegel Sr., son of Herman C. Liegel and Victoria Brickl. Louise Ruland was born on 13 August 1913 at Sauk, Wisconsin. She was the daughter of Joseph T. Ruland and Theresa Haller. Louise Ruland died in February 1987 at Sauk, Wisconsin, at age 73. Children of Louise Ruland and Alois George Liegel Sr. Nickname Reinald Joseph Liegel also went by the name of Reinie. Name Variation Reinald Joseph Liegel was also known as Reinold. Reinald Joseph Liegel was born on 20 May 1909 at Wisconsin. As of 1940, Reinald Joseph Liegel was never married. He married Lelia Flo Walker after 1940. Reinald Joseph Liegel died on 22 March 1995 at Wisconsin at age 85. Joseph Anthony Liegel married Ruth E. (?). Joseph Anthony Liegel was born on 20 November 1911 at Plain, Sauk, Wisconsin. Joseph Anthony Liegel died on 4 August 1992 at Richland, Wisconsin, at age 80. Herman D. Liegel was born on 21 July 1916 at Wisconsin. Herman D. Liegel married Arlene Schweiss in 1939 Sauk county marriage license reported in The Capital Times 27 Aug 1939. Rose Liegel was born circa 1919 at Wisconsin. She was the daughter of Herman C. Liegel and Victoria Brickl. As of 1940, Rose Liegel was never married. Name Variation Michael Joseph Liegel was also known as Michael Alois. Michael Joseph Liegel was born on 24 March 1921 at Sauk, Wisconsin. As of 1940, Michael Joseph Liegel was never married. He married Marie Bernadine (?) before 1947. Michael Joseph Liegel died on 30 November 1987 at Sauk, Wisconsin, at age 66.